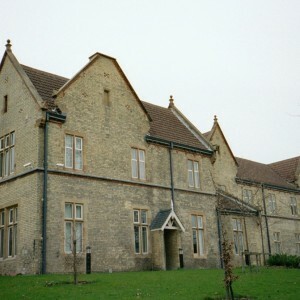 The County Asylum at Fulbourn came about as a result of the Lunacy Act of 1845 which had obliged county and borough authorities without appropriate provision, to develop institutions for the care if their pauper lunatics, as a result of the authorities indecision it would be 13 years before it was ready for use. 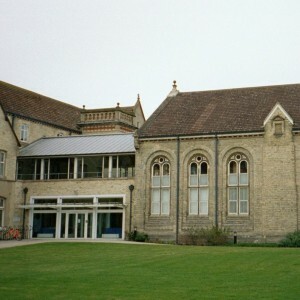 The planning committee for the new asylum was formed in 1848, whose constituents were provided by the City and County of Cambridge and also the Isle of Ely, themselves being the authorities forming the traditional county of Cambridge. A site between Cherryhinton and Fulbourn villages was selected, sloping gently to the south between The Old Drift to the rear and the Cambridge Road at the front. 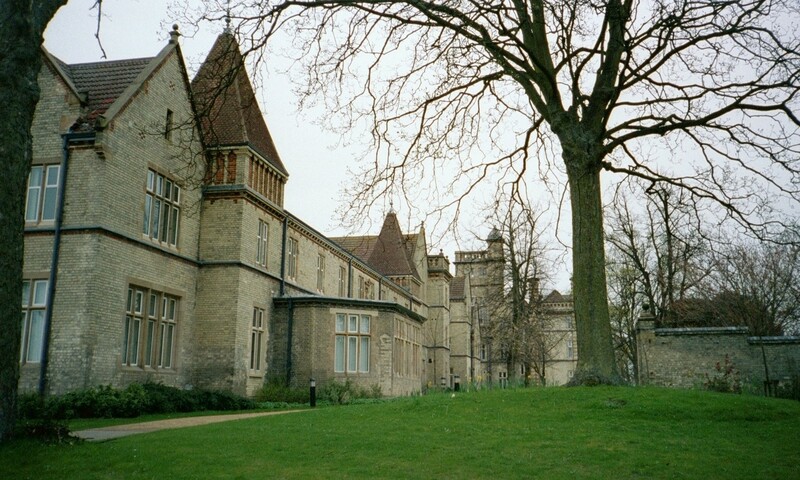 Initially an architectural competition was held to provide a design for the asylum and the plan chosen provided by the architectural firm of Henry Edward Kendall in 1854. Kendall’s plans was then found to be discouragingly expensive to implement and the planning committee stalled their action as they attempted to find an alternative to the prospective outlay. 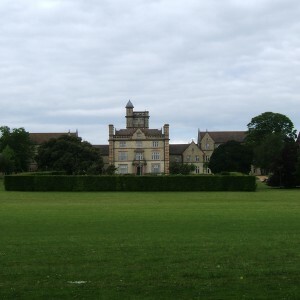 Attempts were made to form links with neighbouring counties, initially with Huntingdon, with whom they proposed to share facilities and cost. 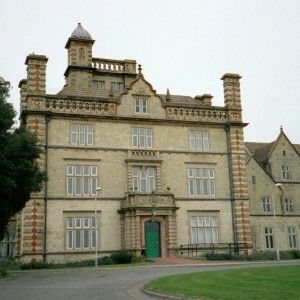 Huntingdonshire had however formed an arrangement already with Bedfordshire and along with Hertfordshire shared the facilities at the Ampthill Road Asylum in Bedford. 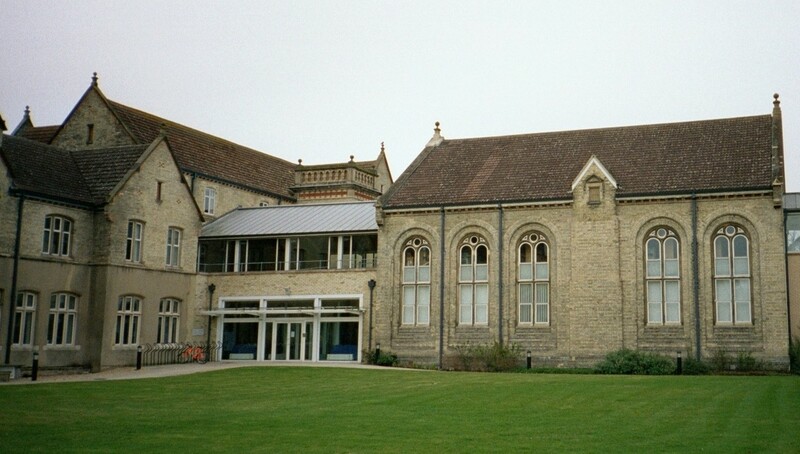 Bedfordshire was also approached as there facilities were cramped and outdated, with a proposal to combine to form a a joint asylum for the combined four counties of Bedfordshire, Hertfordshire, Huntingdonshire and Cambridgeshire. The Commissioners in Lunacy were unsatisfied with the concept of a large enough asylum for so many counties and refused to sanction such a proposal leaving Cambridgeshire once again without an asylum plan. 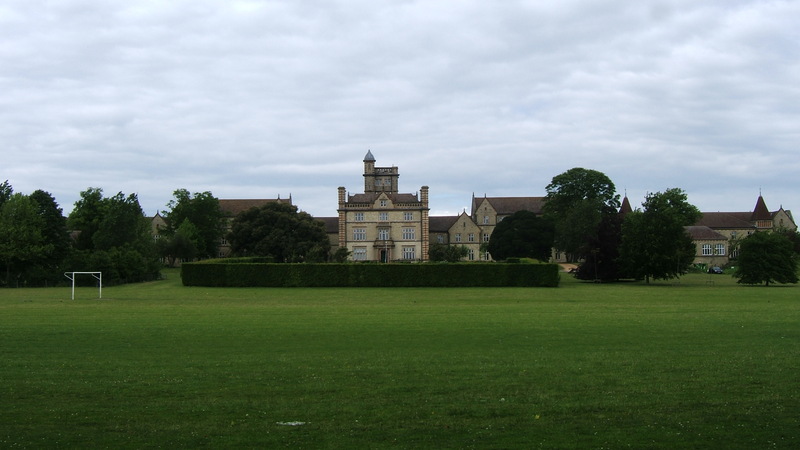 Cambridgeshire decided to consult the Superintendent of the Wakefield Asylum, Dr. Samuel Hill who advised them to engage the services of George Fowler Jones to provide a new and more economical plan. H. E. Kendall, was not satisfied with the county’s poor attempts to pay him off and took them to court, his claims being upheld with Cambridgeshire having to pay damages as well as substantial costs. 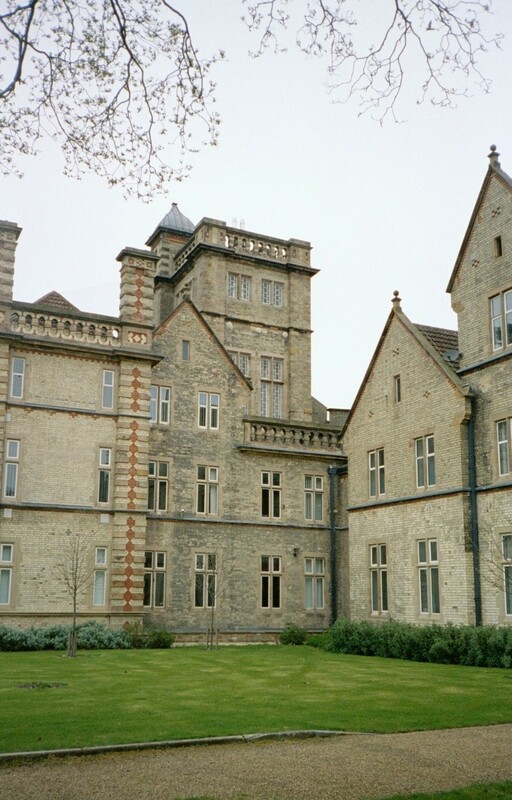 Building of the new asylum commenced finally in 1856 to the corridor plan which was the mainstay of asylum design at the time. 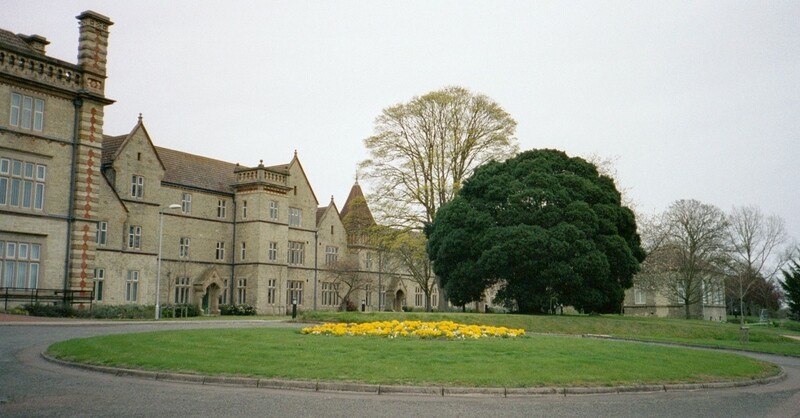 The buildings of the complex were constructed primarily of yellow brick with red brick dressings and stone mullions. 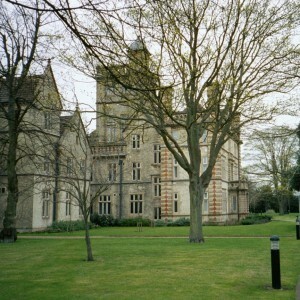 The asylum was Elizabethan in styling and included a number of gables and small towers to the female and male wings to the east and west respectively. The central administrative block with superintendent’s block on the upper floors was the most ornamental with stone decoration around the main entrance porch and dutch gable and brick parapet to the roofline. On each corner stood a brick pillar and behind stood a tower with water tank within. 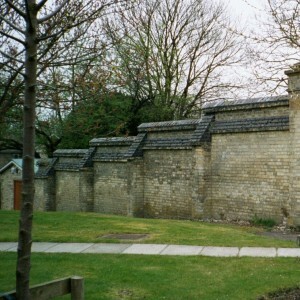 To the rear of this block was located a dining hall with chapel above. 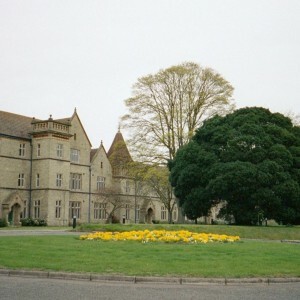 The main drive was guarded by a gatehouse in similar style to the main building, but with heavier use of red brick with yellow brick for dressing. 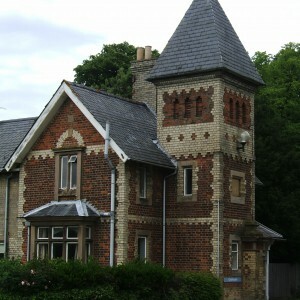 A tower adjacent to the entrance gates was surmounted by a steeply pitched turret. 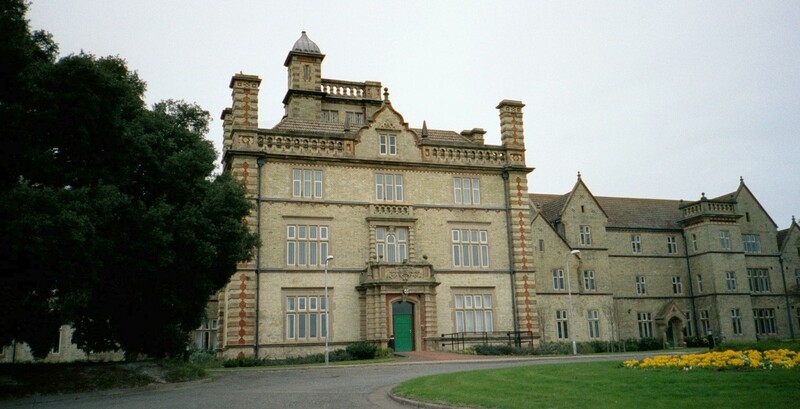 The asylum was finally ready for opening in November 1858 for approximately 260 patients, the architect George Fowler Jones was also developing the neighbouring Three Counties Asylum for Bedfordshire, Hertfordshire and Huntingdonshire which was similar in both style, layout and size. 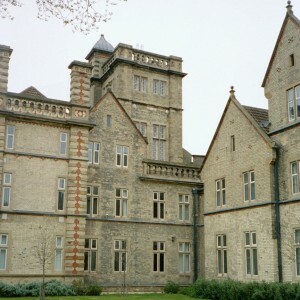 Jones was also to go on to provide numerous additions and extensions at the North Riding Asylum, Clifton near to his home at York. 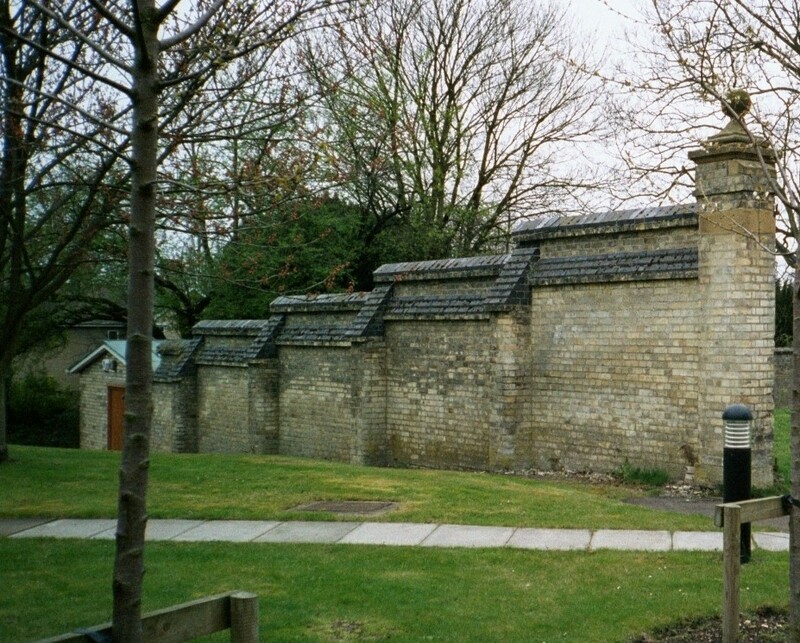 A burial ground with mortuary chapel was to be sited to the rear of the complex adjacent to the service entrance on Fulbourn Old Drift from 1860, being consecrated in 1862 and was available for the interment for pauper inmates not claimed by their families. On 12th March 1872 the central section of the asylum suffered considerable damage as a fire spread through it resulting in the chapels interior resting in major repairs being required. 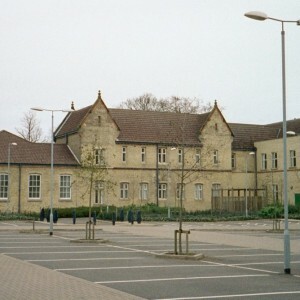 Additions to the asylum were infrequent due to the slow development and weak financial status of Cambridgeshire. The Isle of Ely was, in particular sparsely populated and the whole of the rural county primarily dependent on agriculture. Centres of population outside of Cambridge itself were mostly restricted to the towns of Ely, Newmarket, Wisbech, Chatteris and March. 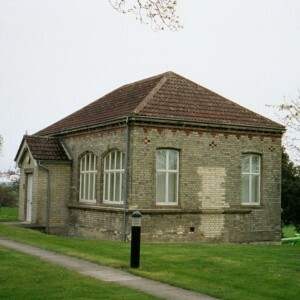 The first extensions were constructed and ready for use in 1876 in a style similar to the original, followed by further pavilion type additions in 1890 . By the turn of the century the population of the asylum had exceeded 600 inmates. 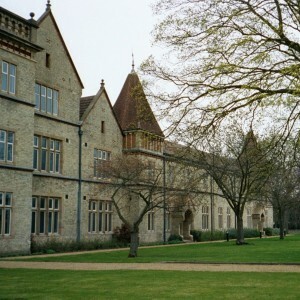 The Great War resulted in the evacuation of the Norfolk County Asylum at Thorpe to other institutions in East Anglia including Fulbourn resulting in further overcrowding. 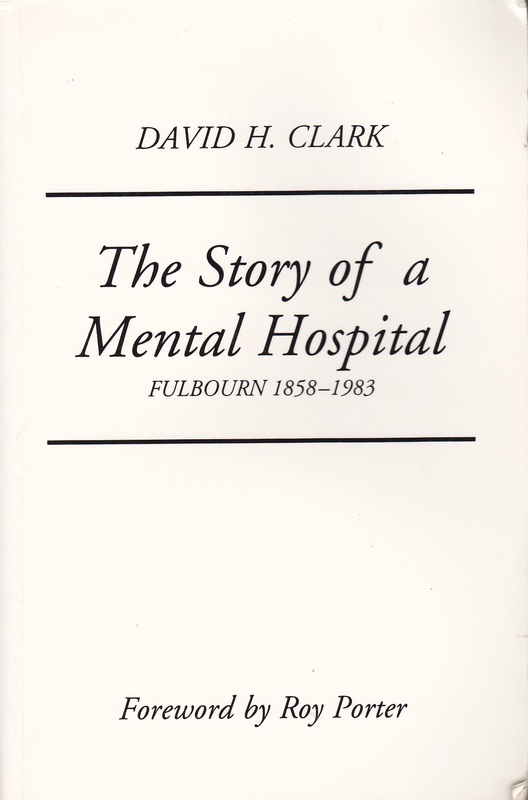 It was also during this time, in 1917 that the asylum became a mental hospital, reflecting an attempt to change the public perception of such institutions. Once the war was over and patients returned to their home asylums, plans were developed for further expansions to the west of the complex. 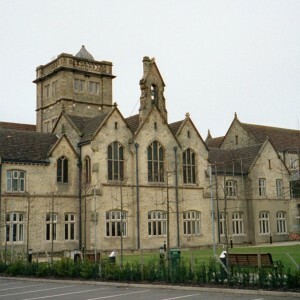 The first of these additions opened during 1930-31 with a new home for the medical superintendent, detached houses for senior staff and an admissions hospital complex. 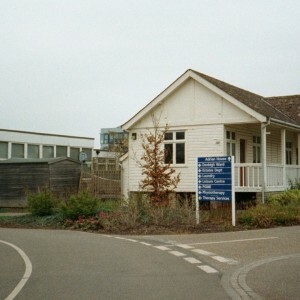 The new admissions complex was comprised of two single storey wards with a two storey central staff and treatment block. The new Superintendent’s residence meant that the central administration block of the main building could be reorganised to provide flats for doctors. 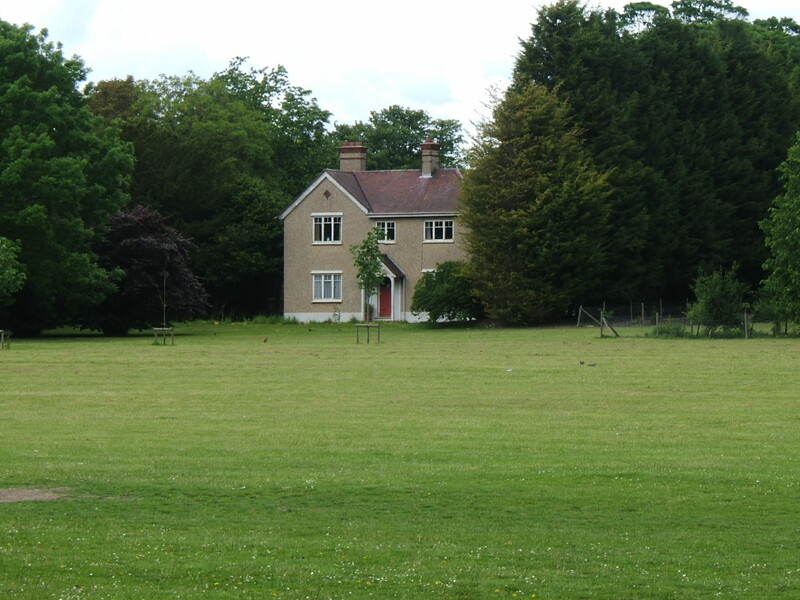 The remainder of the adjacent land was laid out as sports grounds or remained used for farming but would secure much of the eventual future development of the hospital. 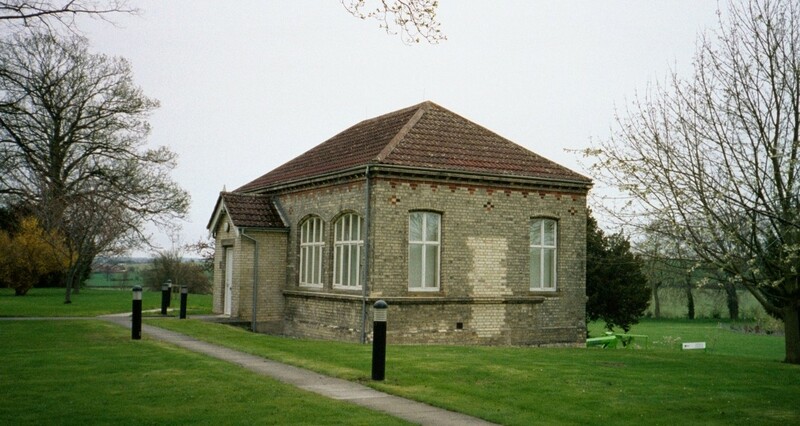 To the rear of the site a new pavilion for occupational therapy was opened in 1938 and any further development was held up by the Second World War. The Second World War led to the evacuation of a number of major central London Hospitals to safer sites away from the risk of bombing. Both The Royal Free Hospital at Grays Inn Road and St. Bartholomew’s Hospital were relocated to the Three Counties and Hill End Hospitals. 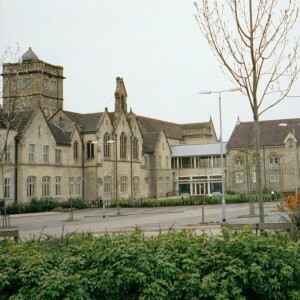 The relocation of Bart’s displaced the Hertfordshire patients from Hill End to the Three Counties Hospital and other hospitals. In turn Three Counties lost it’s new admission complex to the Emergency Medical Services for wartime casualties and an extensive hutted complex accommodated the Royal Free and subsequently the London Chest Hospital from 1947. 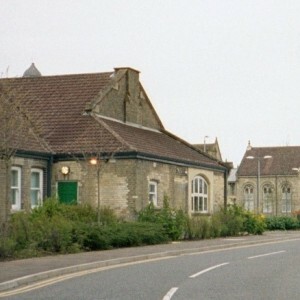 Three Counties were then required to relocate all the Huntingdonshire patients to Fulbourn effectively terminating the arrangement that had existed since the days of the original Ampthill Road Asylum. 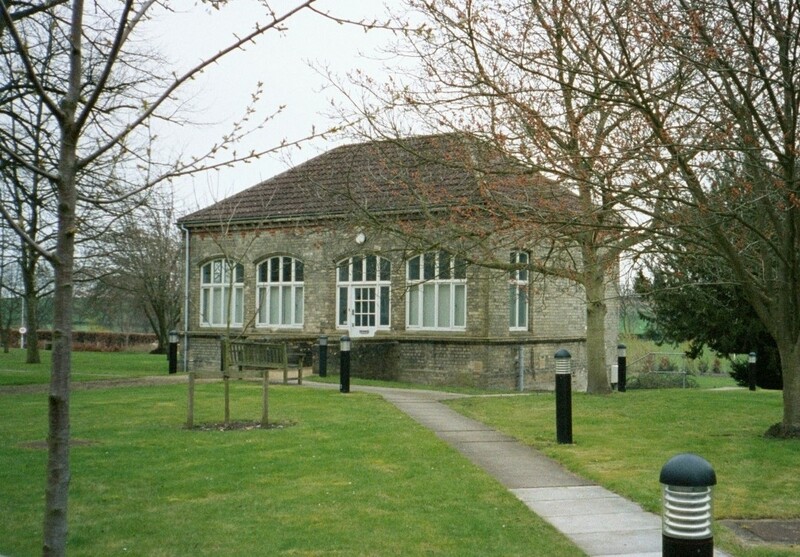 Fulbourn received the Huntingdonshire patients from 28th August 1939 and from this time this county joined the establishment at Fulbourn along with the City, County and the Isle of Ely. By the end of the war the population stood at 950 patients. 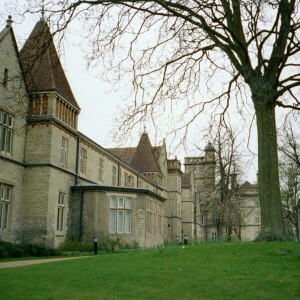 The hospital was taken on by the National Health Service from its creation in 1948. 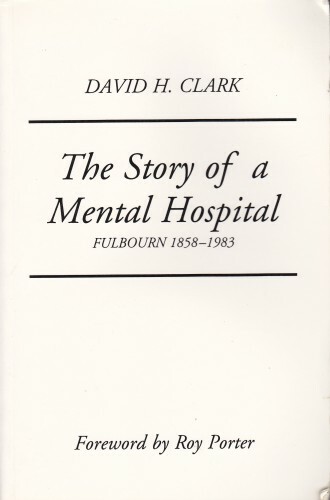 The appointment of Dr. David Clark from 1953 was to revolutionise the running of the hospital and promote change and modernisation, particularly in the care of the long stay patients. The wards were redesignated from their previous impersonal identities of letters and numbers to more names of people associated with the hospital, most of which remained the until the 21st century. Wards were also gradually reorganised to mix male and female patients and remove the former gender based divisions. 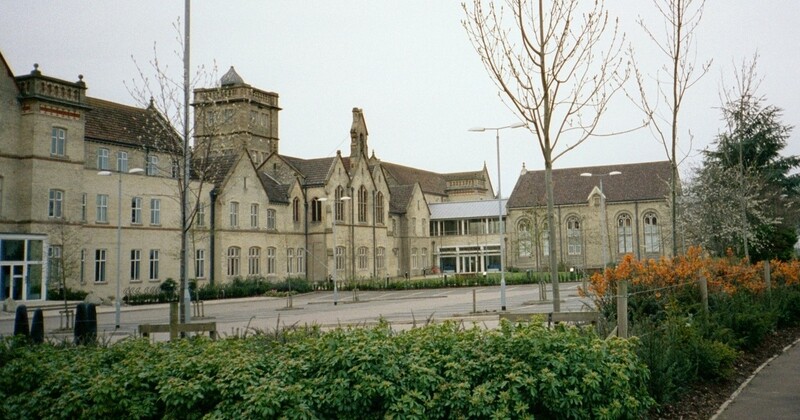 A new ward, Adrian Ward opened in 1956 followed by a new admission hospital, Kent House, to the west of the original one comprising four wards, was opened in January 1964 by Princess Marina. 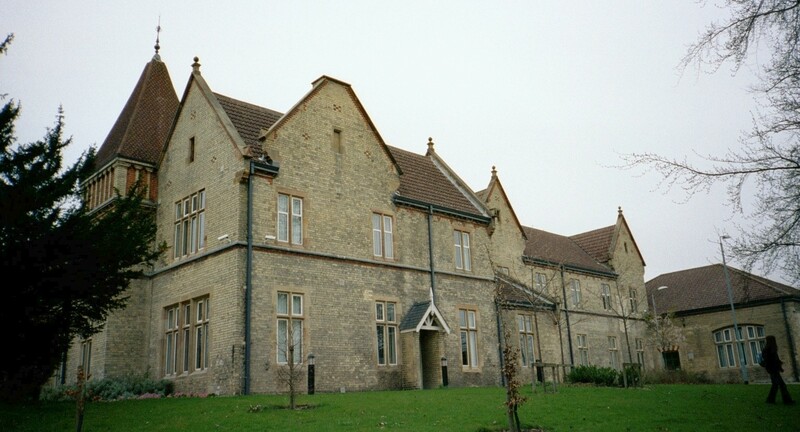 This process enabled to relocation of some of the long stay wards from the back of the hospital to the old admissions complex, subsequently renamed Hereward House. 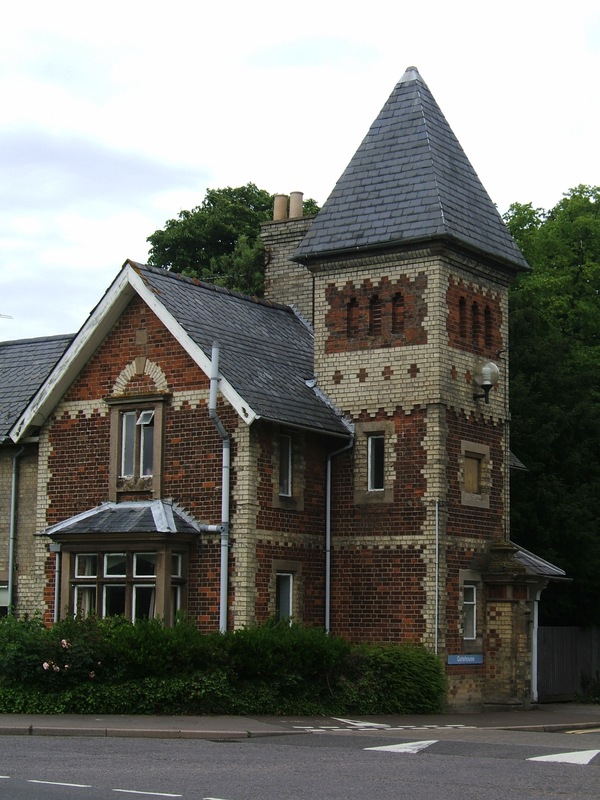 In 1966 a new hospital for 250 mentally subnormal patients was ready for its first occupants across Fulbourn Old Drift to the north east of the hospital. 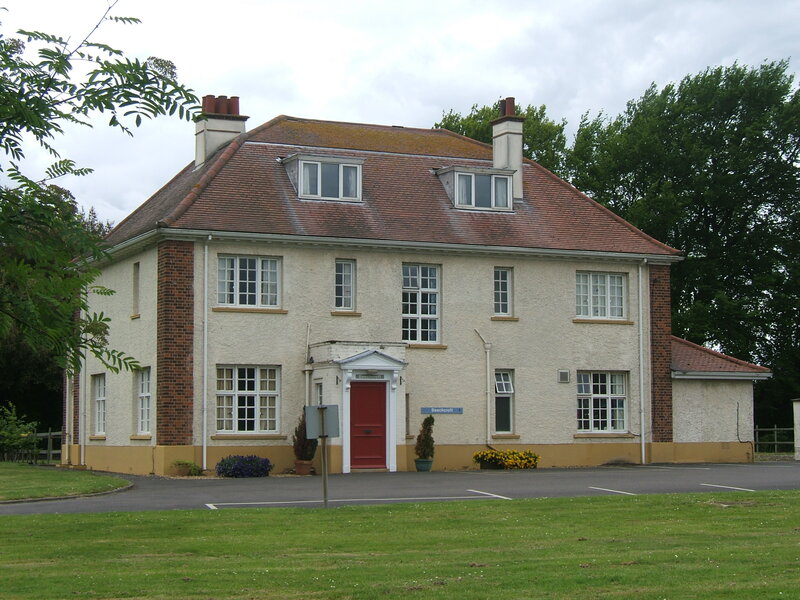 The new building comprised a series of single storey villas similar in style to others constructed around the same time such as Ridge Hill, Bryn y Neuadd, Lea Castle, Llanfrechfa Grange, Balderton, Princess Marina and extensions to other former existing mental deficiency colonies. 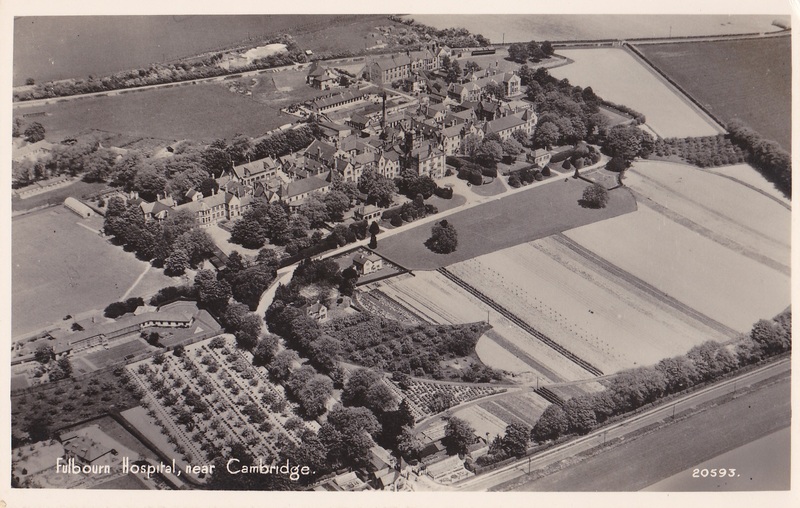 The new hospital officially opened in September 1970 and was named to commemorate Ida Darwin (1854-1946) daughter in law to Charles Darwin, and one of the founders of the Cambridge Voluntary Association for Mental Welfare amongst many other public activities. 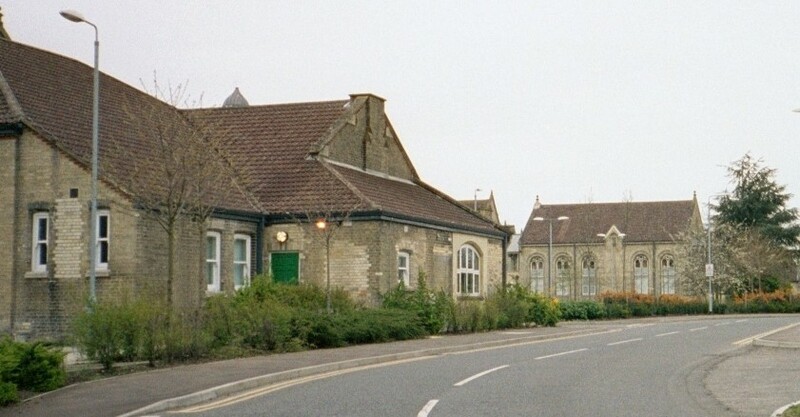 A new district laundry and stores were built to the rear of the main hospital building accessed from the goods entrance from Old Drift, along with an education centre for staff north of the sports ground to the west side of the site. Boundary changes meant that the old divisions of the City and County of Cambridge and the Isle of Ely were abolished and a new non-metropolitan county council was established which included neighbouring Huntingdonshire and also took the Soke of Peterborough from Northamptonshire. The 1970’s and 80’s saw a reduction in the inpatient population as progress was made into releasing long stay patients back into community settings. 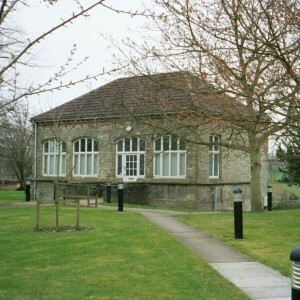 The main building was gradually emptied as services were relocated. 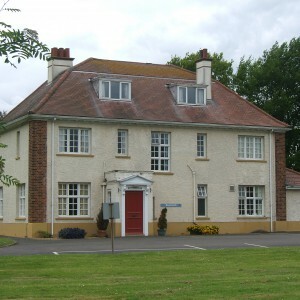 The new David Clark House was opened by its’ namesake in 1993, and George MacKenzie House, named after another former superintendent, was opened in 1995 to accommodate secure and forensic patients as the area between Hereward House and the Education Centre was gradually developed on the former sports ground. 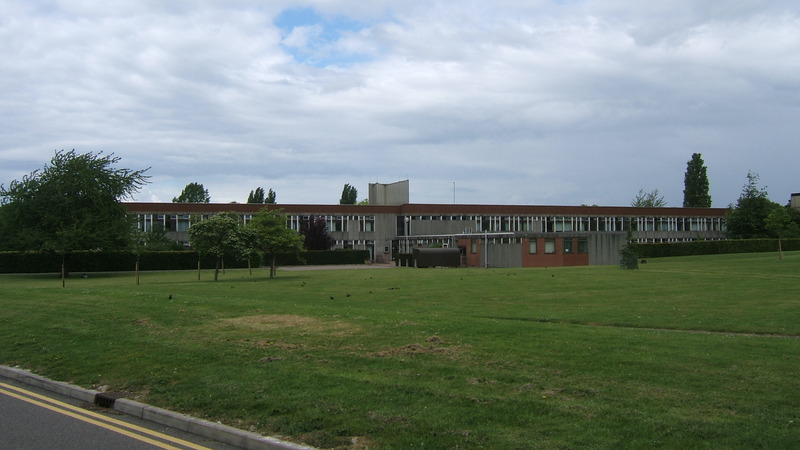 Other new single storey buildings were constructed to accommodate Adrian, Denbigh and Friends Wards enabling the main building to close. 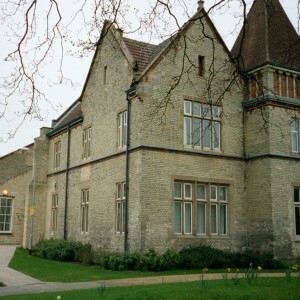 Other psychiatric inpatient services were established at Addenbrookes in 1997-98 with the transfer of James and Street Wards. 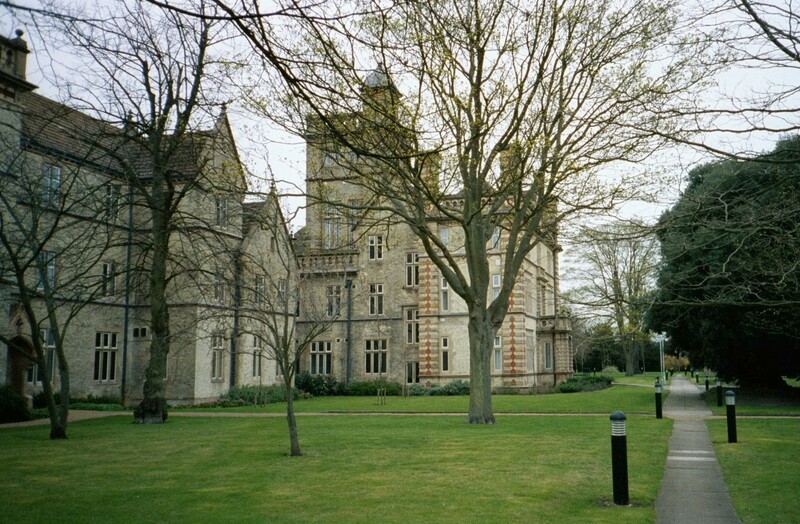 Further developments at Fulbourn included the Springbank Ward opened by HRH the Prince of Wales in March 2001, and Elizabeth House which contains the main reception and administrative facilities. Other services are provided at the nearby Ida Darwin Hospital. Mental health services on the site are now accommodated primarily in the new single storey buildings built in the late 1990’s. 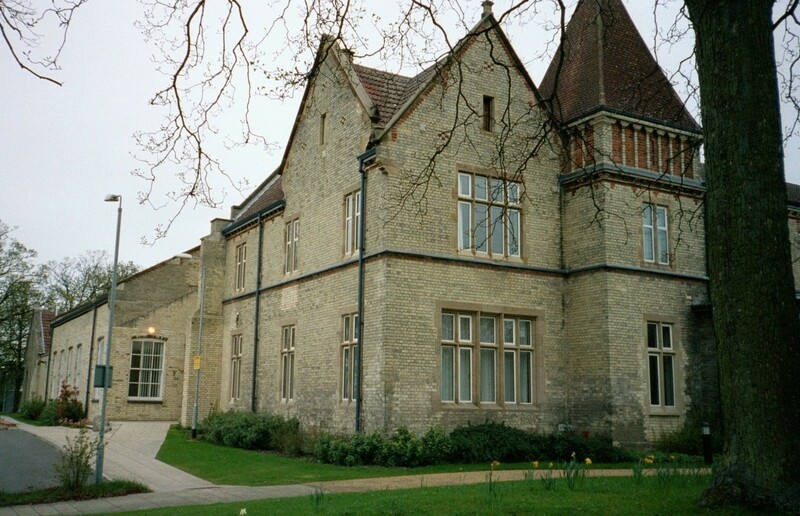 Mental health services at Fulbourn are now managed in combination with those at Peterborough’s Cavell Centre. 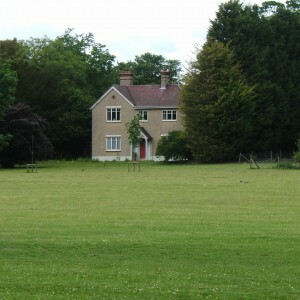 The original admission hospital, the original lodge and Beechcroft, the superintendent’s residence remains in use. 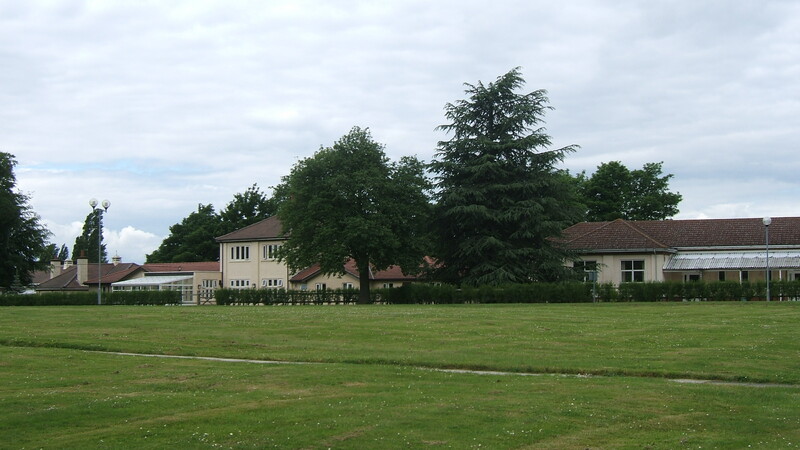 Kent House was demolished in 2008 after most remaining inpatient services were concentrated into the single storey villas. 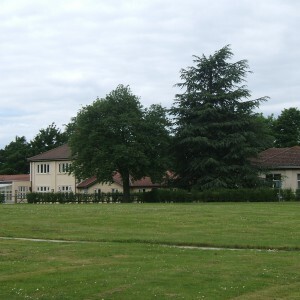 The education centre and sports pavilion remain at the back of the site close to the rear drive. The hospitals burial ground remains but is largely unmarked. The central laundry and stores survived as late as 2011 and new office development is being developed in their place. 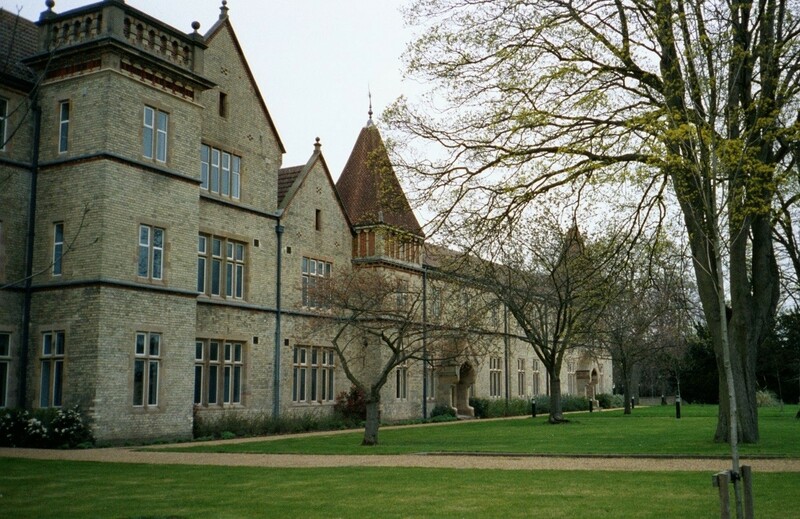 The original main building survives as Victoria House which was converted for use as offices for the Strategic Health Authority and as a home for the Health and Social School of Homerton College, Cambridge. 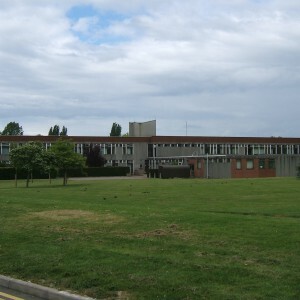 Most latter additions excluding the recreation hall have been demolished and the rear of the building is occupied by office developments. The sports and social club survives and still occupies a site at the front of the site close to the main gate.